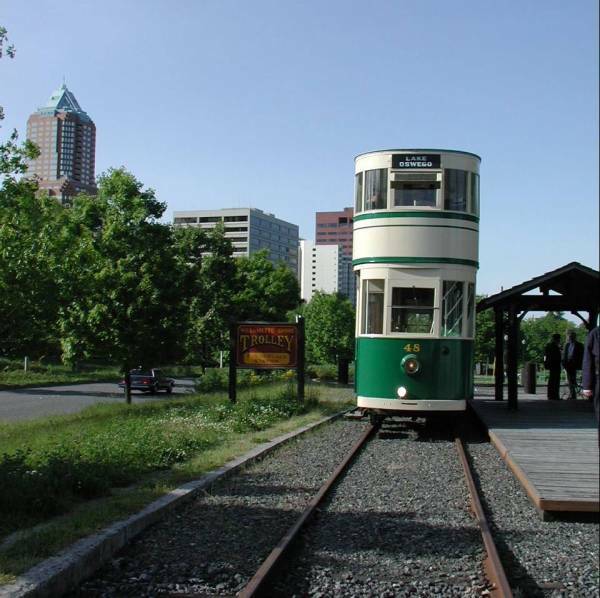 The Willamette Shore Trolley is an example of a Vintage Trolley operation which is being used to help preserve a key rail right-of-way for future transit use. The seven mile line is owned by a consortium of government agencies and may someday become an extension of the Portland Streetcar. Since 1987, a local railway museum has operated a seasonal three-days-a-week trolley operation using a single car with a tow-behind generator. The line connects the edge of Downtown Portland with the nearby suburb of Lake Oswego. In late 2004, Portland Metro plans to begin a study of transportation alternatives in this corridor including rail transit and the opportunities for developing a bicycle/pedestrian pathway in conjunction with the existing and future rail service. Additional information about proposed future uses of the line is available on the Metro Lake Oswego Transit Project website. 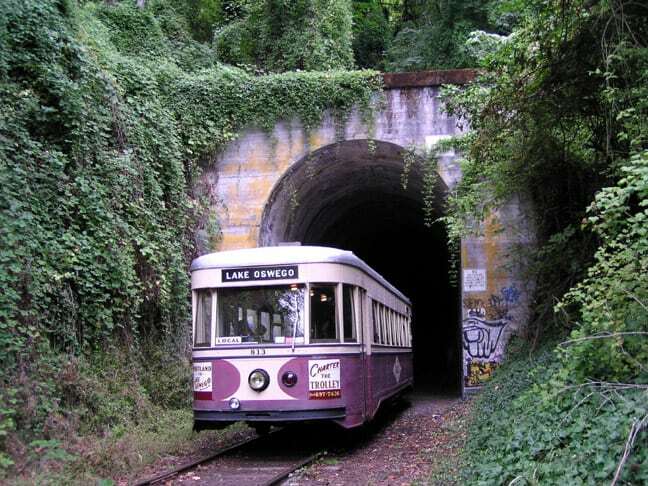 The railroad had a major impact on the development of southwest Portland. Initially 14 trains operated between Portland and “Oswego” (as it then was known) and became the main transportation link for developing residential communities along the route. The line was electrified in 1914 and passenger traffic hit it peak in 1920 with SP running 64 “Red Electrics” to and from Portland and Oswego daily. Passenger service ended on October 5, 1929, while freight service continued until 1983. In August of 1984, the Interstate Commerce Commission granted Southern Pacific permission to abandon the line. In November of that year the Portland Friends of the Willamette River Greenway, a non-profit corporation, was asked to assist seven government entities in their efforts to acquire the line, to guarantee the preservation of the right-of-way for future mass transit. From September through December 1987, the Oregon Electric Railway Historical Society operated a Trolley on the line to determine the feasibility of such a service there. Negotiations between Southern Pacific and the governmental entities continued until the six-mile line was purchased in the fall of 1988. Trolley Service began on a long term basis in July 1990, with another operator. Since then, the line has been extended from its original southern terminus, one half mile south to downtown Lake Oswego. In 1995 the Oregon Electric Railway Historical Society again became the operator of the Trolley Service, in cooperation with the Cities of Lake Oswego and Portland, Clackamas and Multnomah Counties and Metro (a tri-county government agency). The Lake Oswego end of the line also features a two-track carbarn where cars are housed and maintenance performed. All cars are operated using a tow-behind generator, and there are currently no plans to install overhead wire. Equipment: A couple of different cars owned by the OERHS have operated on the Willamette Shore Trolley since its inception. These include a double-deck trolley from Blackpool, and a 1932 Brill “Master Unit” which originally operated on both local and interurban routes of the Portland Traction Company. double-deck car, no longer in operation on the line. September 2010- Metro is now preparing a draft EIR for the Lake Oswego transit corridor. Three project options are being studied, no-build, enhanced bus service, and streetcar. Click here for the project website.